An all-over small geometric pattern creates a unique textured effect in this wool interior throw. 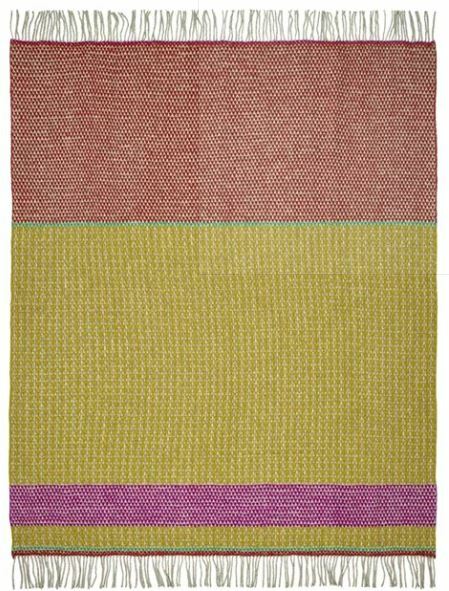 Broad bands of colour in shades of moss, fuchsia and orange are highlighted with stripes of bright emerald green. Woven from a rich alpaca and wool blend for extra warmth and finished with a generous fringed edge.